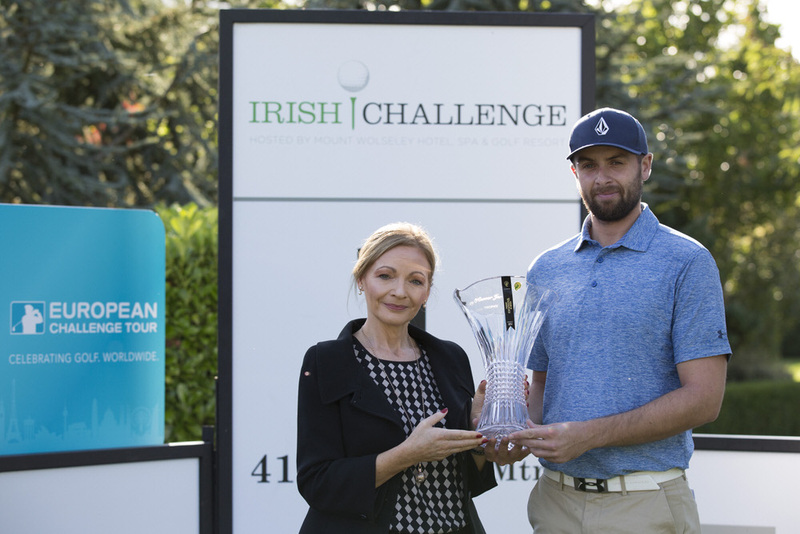 Derry's Ruaidhri McGee gave his confidence a boost heading into a crucial stage of the season when he claimed the Christy O'Connor Jnr Memorial Trophy as the leading Irishman in the Irish Challenge hosted by Mount Wolseley Hotel, Spa & Golf Resort. 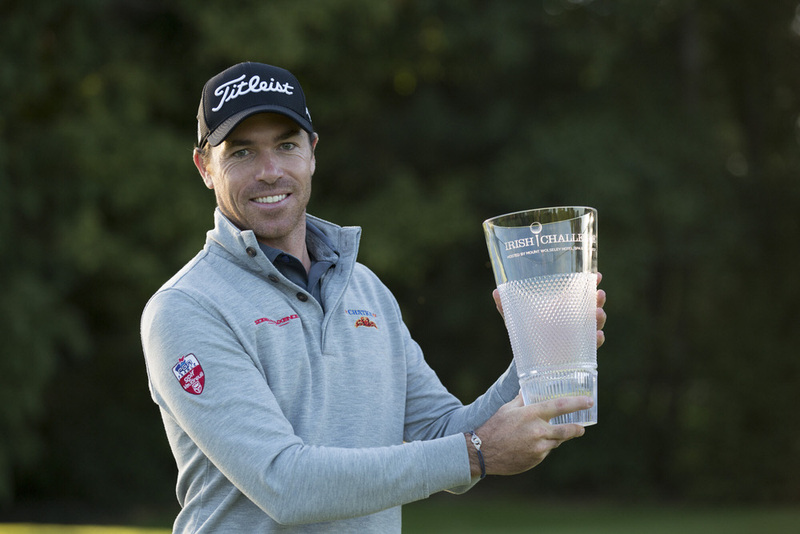 As Frenchman Julien Guerrier turned his one-stroke overnight lead into a six-shot win to consolidate second place in the Road to Oman standings, McGee closed with a third successive 69 to finish tied 15th on six-under-par in leafy Co Carlow. "It's great," said the 26-year old, who is hoping now to finish the season strongly, starting with this week's €450,000 Kazakhstan Open. "This is my home tournament and to come out as the top Irishman as well, I'm delighted. "It was a motivation for sure, and I was definitely thinking about it out there today, trying to make some birdies to see if I could clinch this lovely trophy. "Growing up as a young Irish golfer, Christy Jnr was a big inspiration, so I am honoured. And he did a good job here at Mount Wolseley, especially on the greens." Ranked 76th in the Road to Oman standings starting the week after being forced to take more than a month off in the summer to rest a niggling shoulder injury, McGee is aiming to make the top 45 in the rankings who will contest the season-ending NBO Golf Classic Grand Final in Oman. And he certainly showed signs of good form as he made seven birdies in the final round, including five in eight holes in an outward half of 32. "I love it here, and it's been a decent week for me," said McGee, who moved up two places to 74th in the rankings. "I left a few shots out there coming in today, but after shooting 75 on Thursday, if you had offered me a share of 15th, I'd have taken it. "I am off to the Kazakhstan Open now, and that's a huge tournament for us. I had to take over a month off in the summer to rest a shoulder injury, so that wasn't ideal. "But I am healthy now and this is the time of year you want to be playing well so with five events left, it's still all to play for to make the top 45 who make the Grand Final." 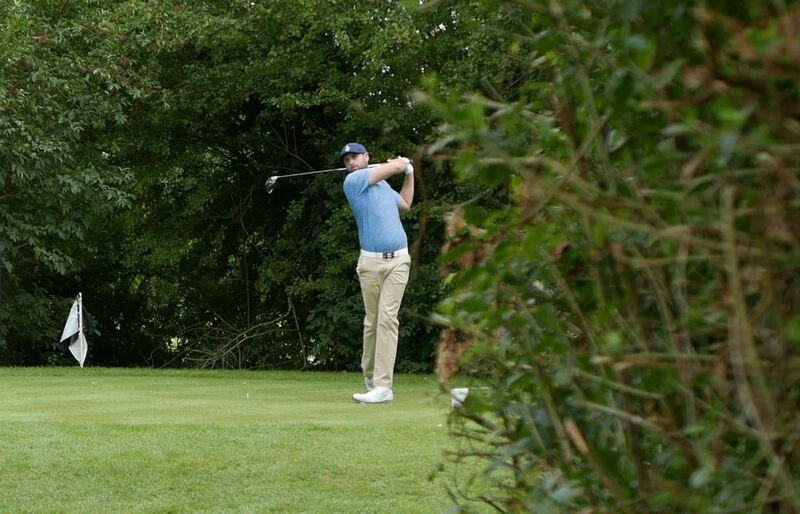 After holing a wedge for an eagle two on the 18th on Friday just to make the cut, Moyola Park's Chris Selfridge holed an eight iron from 155 yards for another eagle two at the 15th as he closed with a 70 to finish tied 33rd on level par. Ardglass' Cormac Sharvin slipped to tied 41st on one-over after a 74 with Castleknock native David Carey two shots further back in 48th after a 72. As for Guerrier, he clinched a second European Challenge Tour win of the season just hours after compatriot Romain Wattel had sealed a maiden European Tour win at the KLM Open. Wattel has significant Challenge Tour history of his own, having won on the tour in 2010 when still an amateur, and he is sure to be joined on the European Tour next year by Guerrier, who remains second on the Road to Oman but has cut Aaron Rai’s lead to around 19,000 points. Guerrier had previously won on home soil at June’s Hauts de France Golf Open but rarely has he been more impressive than in Carlow, where his bogey-free five-under-par 67 extended his run to 48 holes without dropping a shot. He also credited becoming a father for the first time earlier in the year with his recent run of good form, which he will hope continues at the lucrative Kazakhstan Open next week. “I just heard about Romain’s win,” said the 32-year-old. “It’s so great because he’s had a difficult year so I am very happy for him, and for my friend Joël Stalter who tied for third – it’s a great day for French golf with me winning as well. “It was a very good round, very steady. I’m really surprised by how well I managed to play such steady golf – it’s my goal but then to do it this week so well is very pleasing. “The goal was to make birdies and not to make bogeys. I had a steady start and with Oscar, unfortunately, dropping shots I built a good gap, and then I made a few more birdies, a second bogey-free round in a row, so it’s very good. “It’s the most consistent and steady I have ever played and it was great to finish in style with a birdie in front of the great Irish crowds – I’m very proud to win here and in this way. “The Rankings wasn’t in my mind today but I know I have now closed the gap, but there are a lot of big tournaments ahead so it will be interesting – the goal is to win but with golf you just never know so I’m just going to keep my feet on the ground and enjoy this win. “Being a father has helped my game a lot. You know when you make a bogey, it’s not the end of the world, and I try to think of my son and realise this is a happy place. Playing with Guerrier, Oscar Lengden bounced back from a disappointing start to take a share of second place on 11 under par, with Jarand Ekeland Arnoy securing his career-best result alongside Steven Brown, who sealed his fifth top-five finish of the season. 297 J Makitalo (Fin) 75 72 76 74.